Biotechnology is a very exciting, dynamic, interdisciplinary field, and provides a broad range of career opportunities. 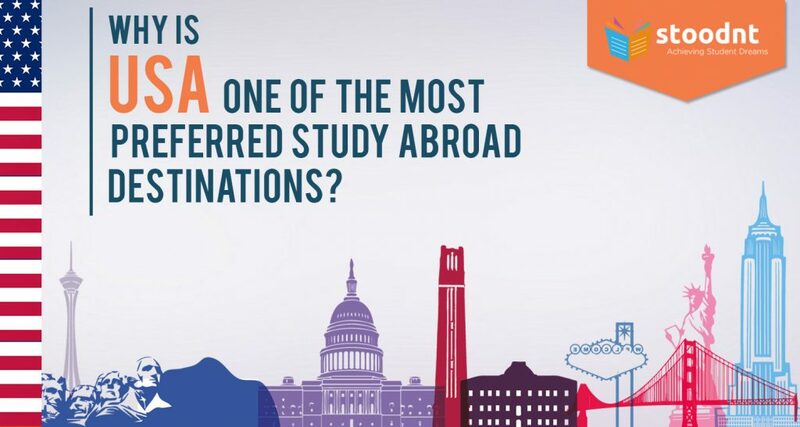 When it comes to pursuing a Masters in Biotechnology, USA always comes to the students’ minds as an automatic choice. 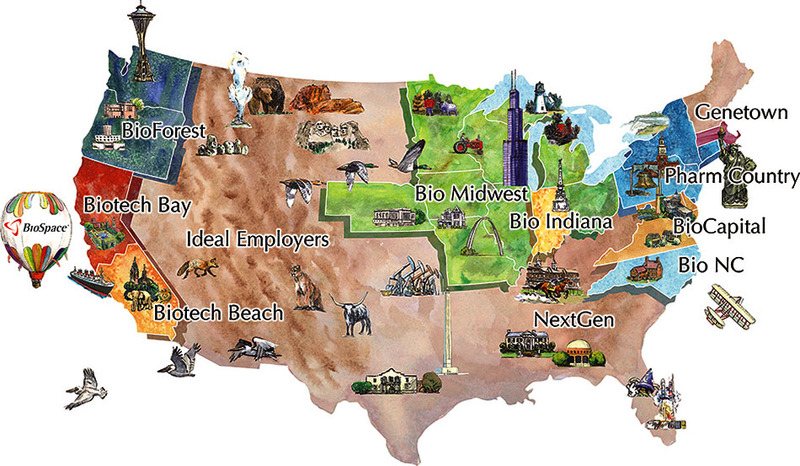 The US is by far the most dominant player in the biotechnology & biomedical field in terms of research and innovation. With more than 3,000 colleges and universities in the US, the options are almost limitless (and sometimes even confusing). In this post, we will look at the best universities for MS Biotechnology in USA. The list has been created after referring to the course content (modules, interdisciplinary nature, research facilities), availability of internships & Co-ops, rankings (US News, QS, THE), proximity to biotech hubs, industry links, commercialization activities, and job prospects. I have not listed the courses focussed on biomedical engineering (bioengineering). The focus of this post is the Master’s programs on core biotechnology and biomedical science in the US. Before we proceed to the list of the top MS Biotechnology programs in the US, I would like to stress on the point that I have put a strong emphasis on locations (proximity to biotech clusters) of the universities. Additionally, I have stressed on the programs that cover modules on business, commercialization, intellectual property & patents, and entrepreneurship – say MSB and PSM programs. Read PSM vs MS Biotechnology. However, I have also listed MS programs that have a strong focus on research and lab training, hence ideal for the folks who want to do PhD straightaway after MS. If you are surprised that names like Harvard, Stanford, MIT, Caltech, Yale etc. are not there on the list, then please be advised that those schools do not offer MS in Biotechnology or Biomedical Sciences. They offer only PhD programs. Top schools like Stanford, UC Berkeley, UT Austin, Cornell do offer MS Bioengineering (Biomedical Engineering) programs. It is a professional master’s program that combines molecular biology research and business fundamentals. The university is located in the San Francisco Bay Area and surrounded by more than 200 biotech companies, research institutes & startups. The PSM program offers PSM offers more versatile training than a traditional MS degree as the program has been developed in concert with the biotech companies. Internships (2 – 6 months in duration) are a key feature of the program. These internships have often led to full-time positions for our students after completion of the program. It’s an innovative and interdisciplinary program that draws its faculty and courses from the School of Arts and Sciences and the School of Engineering and Applied Science. Three parallel curriculum tracks: 1) molecular biotechnology, 2) biopharmaceutical/engineering biotechnology, 3) biomedical technologies give students the flexibility to tailor their degree to their background, interests, and current career or career goals. 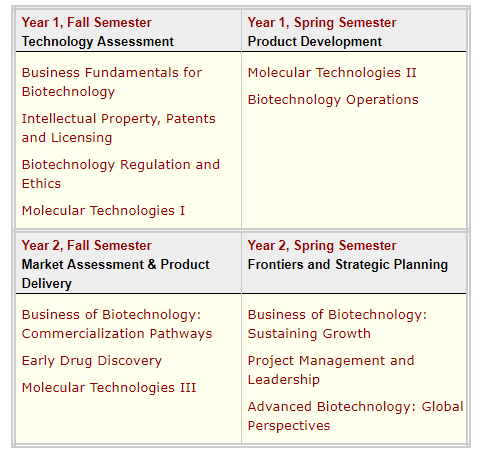 These tracks, in combination with core courses, ensure that students get a uniquely broad exposure to the entire field of biotechnology. It is a great program for those who are looking at to do a Ph.D. straightaway after MS, and also for the students who want a job after the course completion. The courses can be finished in 15 months without an internship. With the internship, the course is of 21-month duration. Northwestern University is based in Chicago, which is a key player in the biotech industry. 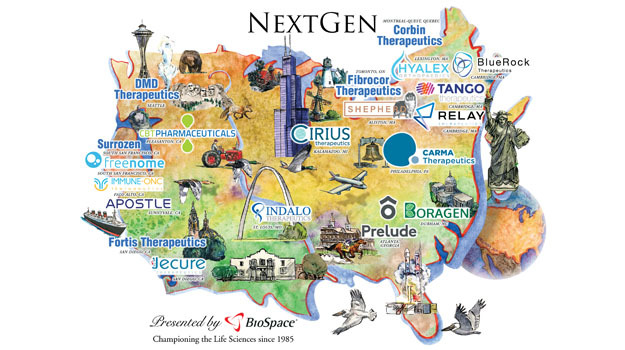 Chicago is home to established biotech and pharmaceutical companies like Abbott Laboratories, AbbVie, Baxter Healthcare, Takeda, Baxter International, Astellas Pharma, and Hospira as well as homegrown start-ups like Nanosphere and Ohmx. Additionally, research parks like the Chicago Technology Park, University Technology Park at IIT, and Illinois Science + Technology Park provide the opportunity for universities and industry to establish a community-based approach to research and scientific development. MCDB offers two M.A. programs: an M.A. by Thesis (Plan 1), emphasizing independent research training, and an M.A. 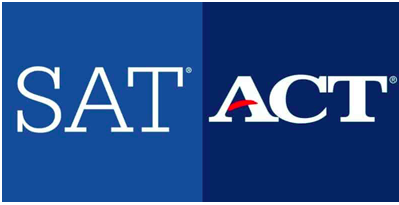 by Exam (Plan 2), emphasizing coursework and broader academic training. Students will have the opportunity to specialize in Pharmacology & Biotechnology. The electives are grouped into three tracks:1) Molecular Biology and Cell Biology: 2) Chemistry and Biochemistry, and 3) Neurobiology and Behavior. These tracks reflect the three traditional areas of research in the field of pharmacology and biotechnology and serve as a guideline for students to help shape their curriculum. The program combines a unique curriculum and distinctive practical training that exposes students to biotechnology and its applications in translating genomic and molecular insights into developing novel therapies and precision medicine. 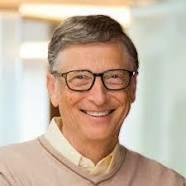 The private and public capital that will develop the growing biotechnology and biomedical markets. It’s an excellent program for the folks who want to combine biomedical research along with business & commercialization. Core modules are available on Biotech-Pharma industry, Biosensors & Biochips, Healthcare, and Entrepreneurship. Electives are available on Molecular & Cell Biology, Immunology, Neuroscience, Finance, Accounting, Sales & Marketing, Technical Communication, Project Management, Innovation, and Intellectual Property. NYU also offers MS Biotechnology. The focus of this program is medical applications. 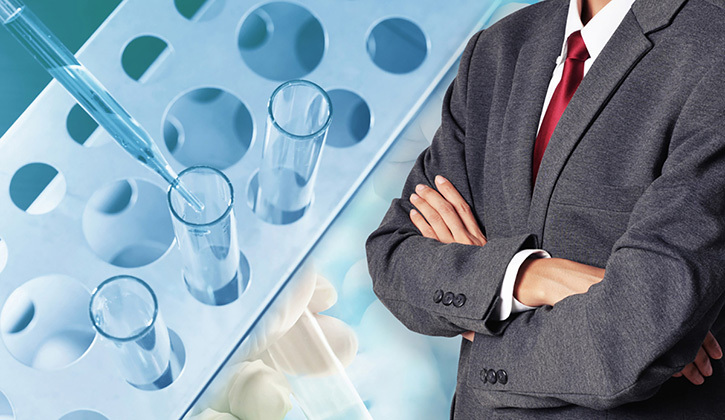 Students are trained in the sciences and business practices important to the field of medical biotechnology. The Master of Science in Medical Biotechnology will train students in the major techniques and disciplines commonly used in biotechnology. Course subjects may include recombinant DNA and genomics, protein production and proteomics, biological systems, molecular biology, immunology, pharmacology, drug design and development processes. Additionally, students will receive direct experience with many of the analytical and testing techniques used in the biotechnology and healthcare industries. Workplace-related training will include an introduction to pertinent regulatory issues and practices, basic training in proposal preparation and public presentation of technical topic and training in program management systems and product development processes. Johns Hopkins is a world leader in biological research and the global biotechnology industry. If going for Ph.D. is in your mind, Johns Hopkins should on among the top of the list. 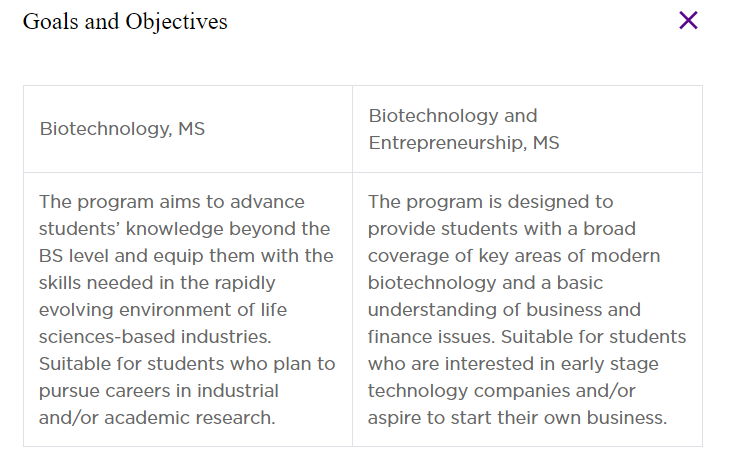 Johns Hopkins also offers an MS program in Biotechnology Enterprise and Entrepreneurship. The M.S. in Biotechnology offers a powerful two-year curriculum for working professionals that integrates science, business, and law. Courses are taught by a combination of university experts and private industry leaders, providing a unique blend of theoretical and functional knowledge that students can apply immediately to their careers. The Department of Molecular Biology and Biochemistry offers a graduate program in Biotechnology leading to the Masters of Science degree in Biological Sciences. The program emphasizes formal training and immediate participation in research. 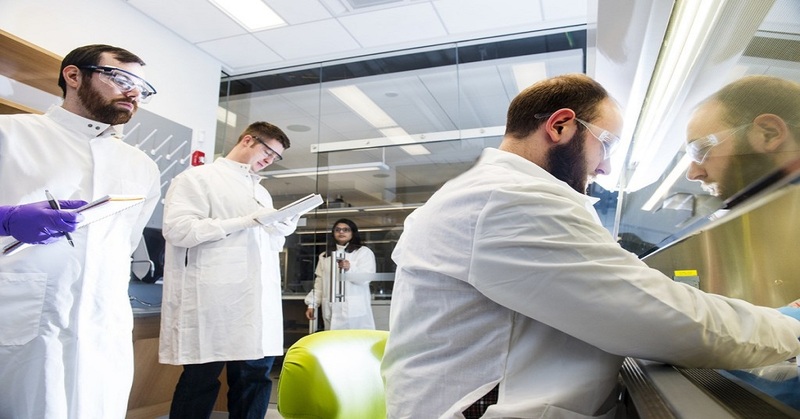 Students participate in core technical laboratories in protein isolation and characterization, animal and microbial cell culture and recombinant DNA methodology, and participate in individual faculty research projects. A specialization is offered in Stem Cell Biology. UCI also offers MS Biotechnology Management – UC Irvine, which offers courses from three highly reputed schools at UC Irvine: The Ayala School of Biological Sciences, The Paul Merage School of Business, and The Henry Samueli School of Engineering. This MS program in biotechnology and biomedical science trains students in the theory and laboratory techniques used in biotechnology and biomedical science. 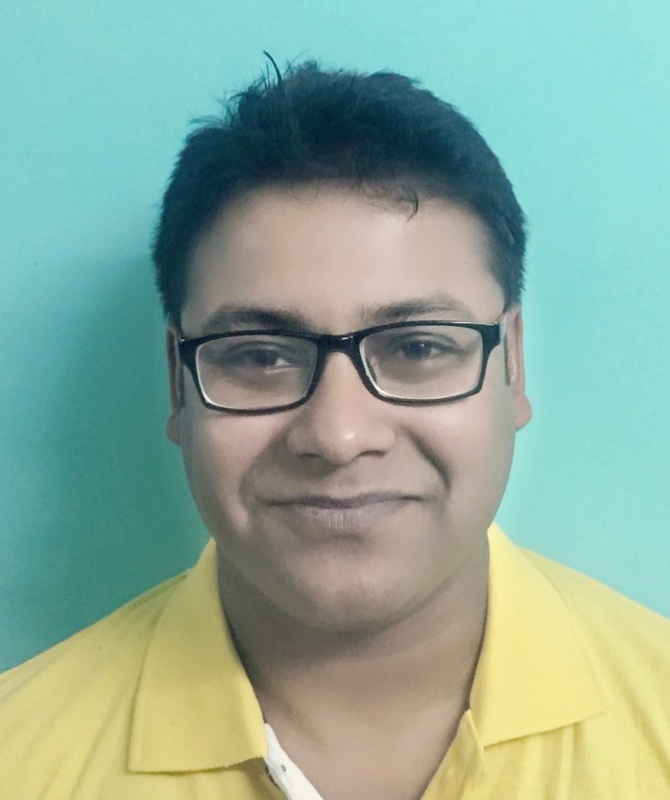 It’s appropriate for students with interests in the emerging fields of biotechnology, molecular genetics, tissue culture, and computerized laboratory technology. The MS Biotechnology program at Texas Tech University (TTU) is a 2-year non-thesis Master of Science degree offered through the Graduate School of Biomedical Sciences. The program offers a great blend of business, science, and technology in the academic setting and a wide variety of funded research opportunities. The curriculum includes two semesters of coursework and a year of full-time research in a Texas Tech University Health Sciences Center lab or an internship with an industry lab. These internships are paid positions, ending at the time of a student’s graduation the following Spring semester. With over 60 centers and institutes and the recent construction of the Research Park & Innovation Hub, resources are readily available to startups and technology commercialization initiatives. It’s a PSM program that combines an intensive science-based curriculum with a practical understanding of the many aspects of the biotechnology industry. The Master’s program prepares students for entry-level employment and for successful careers thereafter in the very dynamic biotechnology industry. The program provides excellent opportunities for internship & co-op, lab training (molecular biology and biofermentation/bioprocessing), professional networking, career services, and professional development. The program provides not only the opportunity for extensive, cutting-edge scientific training, but also the opportunity to examine the legal, social, and economic sides of biotech. – Alumni. The program is intended for students who would like a career in biotechnology without making the 5-7 year commitment to attain a Ph.D. Check out the core and elective courses of the Master’s program at Columbia. Want to discuss the next career move, right universities, application strategy or just want to clear your doubts? Book a counseling session using the form below. All the timings are in IST. It’s a full-time, thesis-based Master’s program. Core courses cover advanced topics in biology and biotechnology, as well as professional training in areas including grant writing, presentation skills, experimental design, and ethics within the life sciences. WPI also offers MS programs in Biochemistry and Bioinformatics & Computational Biology. 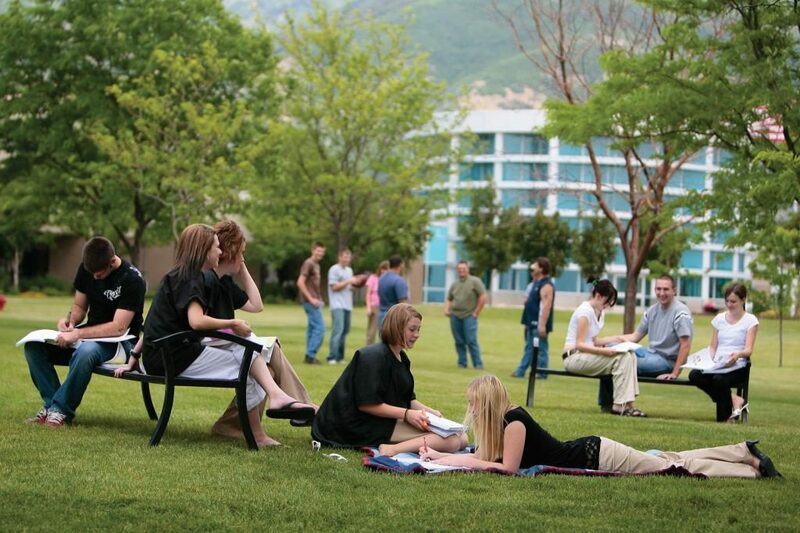 The MCD program is a 2-year program carried out under the guidance of a faculty advisor. Students interested in a Master’s degree should directly contact faculty members with whom they would like to work before applying, although this is not mandatory. UC Santa Cruz also offers MS Microbiology and Environmental Toxicology. The program combines core courses and electives to provide interdisciplinary training in microbiology, toxicology, and environmental health sciences. The degree can be attained through Plan I thesis (coursework and thesis, minimum 40 credits) or Plan II (coursework and capstone project, minimum 40 credits). The Master of Business and Science program at Rutgers aims to educate students in the essential skills for managing technology development and commercial applications in industries that apply and make use of the molecular biological sciences, including biotechnology, genomics and proteomics, biochemistry, cell biology, systems biology, and nanobiotechnology. This program is intended to prepare students for careers in biotechnology and biomedicine and to assist currently employed professionals in enhancing their career opportunities. UT Dallas is a great school that offers various MS programs with the scopes of interdisciplinary research. They offer MS in Bioinformatics & Computational Biology, MS in Molecular & Cell Biology, and MS in Biomedical Engineering. The MS program focuses on developing leadership skills, teamwork and entrepreneurship that are essential for career success. The program offers specializations in BioBusiness, BioScience, Drug Design & Discovery, Entrepreneurship, and Industrial Sciences. A highlight of the program is the capstone internship, which allows students to gain the desired work experience. Internship opportunities are available in all the tracks that include research in industry, academic, and government laboratories and in business development, marketing, commercialization, finance, regulatory affairs, and technology transfer. It’s an 11-month program that prepares students to be highly competitive candidates for medical schools, related health professions, and other biomedical careers. The curriculum integrates graduate level human biological sciences with skill development in critical thinking, communication, and teamwork. Duke also offers MS in Biomedical Engineering, which provides a solid foundation of rigorous training and research experience to propel your career to developing new biomedical technologies.